For 0-8 participants (kids ages 2-12).90 minutes of play time featuring giant interactive structures. See party add-on for extra time. Private Party room to use according to your personal needs. 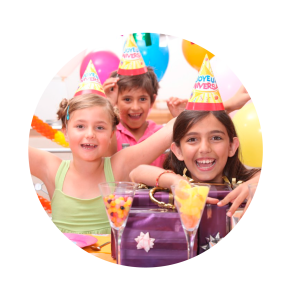 A Party Hostess to guide you through your party and answer all of your needs during the time spent at Big Bounce. Prices are subject to IN sales tax. SORRY, NO OUTSIDE food or drinks allowed EXCEPT FOR CAKE. Gratuities are welcomed and appreciated. BIG BOUNCE PARTY for 9-15 participants (Kids age 2-12). 90 minutes of play and play time featuring giant interactive structures, and Arcade games with ticket redemption. Free paper products (plates, napkins, cups). Access to video & ticket redemption arcade games. Perfect for Bigger groups. We’ll set you up with Dessert, Food, Drinks, free invitations, and a private celebration room. 90 minutes of play time featuring giant interactive structures, and Ticket Redemption Arcade games. 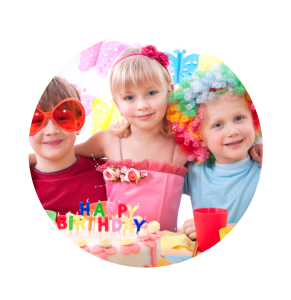 A Party Pro to guide you through your party and answer all of your needs during the time spent at Big Bounce. Participants can be added to this party ($10 per extra child). Private Event Party from $299.00 PRIVATE BOUNCE PARTY for 100 participants (ANYONE). 2 Hours of play and play time featuring giant interactive structures, and Arcade games with ticket redemption. Entire Building and Private Party room to use according to your personal needs. Attendant will available to serve Big Bounce items, ice cream, pizza, drinks etc. 9-15 Kids – $274. .
16-24 Kids – $324. .
Additional items and a TAB for adults are offered at an additional cost. See Party Add-Ons below. 90 minutes of play time featuring giant interactive structures, and Arcade games with ticket redemption. WeekDay Parties just got more affordable! 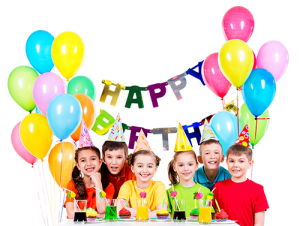 Any Birthday party on Tuesday or Thursday is now $50 Off ! That’s right! Now after having the most fun New Castle has to offer, you don’t even have to leave to eat dinner or refresh your entire family! Big Bounce Diner has a great selection of food, beverages and tasty soft serve . Get some pizza or a Dish of Soft Serve ice cream. Birthday’s Monday – Thursday – great way to avoid the crowd. Want a Big Bounce Party? – Lock-in your date. Calendar fills up fast. Are the parties totally private, or do you share the bounce arena with other people? The bounce area will not be private but you will have a Party Room reserved just for your party! We do have a private party option. See ‘Private Party’ tab above. The party package you choose determines the number of guests you can invite. 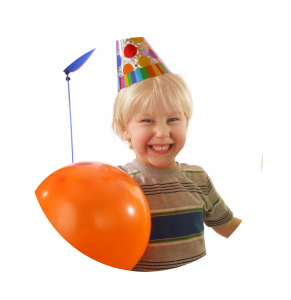 For a Bounce Jr. Party, you may invite up to 8 guests, for a Big Bounce Party, you may invite up to 15. If you schedule a Mega Bounce Party, you are allowed up to 24 guests. Parents & Adults are free. What time should my guests and I arrive? You and your guests should arrive no more than 15 minutes prior to your scheduled party time to allow for check in. What should my guest bring to the party? All guests should bring socks. We do have socks available for purchase should someone happen to forget theirs. And all guests are required to sign a Waiver: http://bit.ly/wiaver. they can also fill it out at facility. Do I need to leave when my party time is over? Yes, we provide a hostess to keep you on track with your time, they will notify you 15 min before departure, all guests are expected to leave at that time. 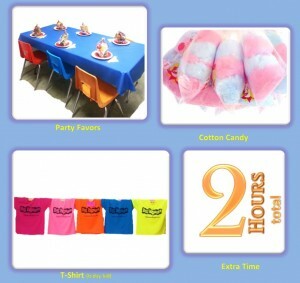 Additional time is available, just $20 for 2 hour party. The Parent or Guardian of the guest of honor is required to stay at the party. There needs to be enough adults to supervise the guests. Other adults are welcome to stay for free, but not required. Will there be someone in the party room to help serve the drinks/pizza/etc.? Because of their excellent service and quality, we use Papa Johns. Your pizza will be delivered hot and fresh. How many people does one pizza serve? What if less or more kids show up than I had anticipated? Absolutely! Although, with every party we provide basic party supplies and a fully decorated room, we understand that you may want a particular theme. You are more than welcome to bring in your own paper products and tablecloths. Please let know before your party if you would like to do so. We do not allow ceiling or wall decorations, silly string, or confetti. Can there put multiple family members on one waiver? Can I fill out the waiver from your website? Is there supervision in the Bounce Arena? Absolutely! But parents are responsible to supervise their children. In order to make the event hassle-free for you, we have everything you need, except the cake. When should I order extra pizza, or other party extras? 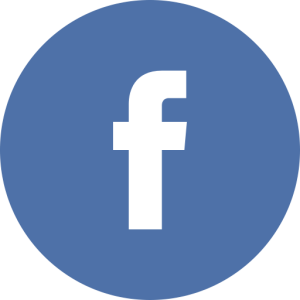 We will contact you 1 day prior to your party to confirm your guest count. 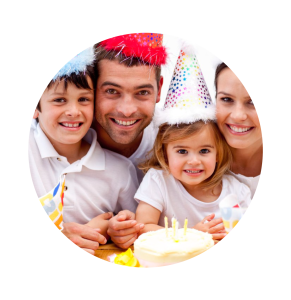 At that time, you can order any party extras and discuss any questions or special requests you have. Can I bring my own drinks/food? For your convenience, we offer food and beverages. VIEW MENU. Outside food or drinks are not allowed in the building for a regular booked party. The only exception is cake/cupcakes. We do have a Bring Anything Party option, view Private Event tab above. Can I bring my own party favor bags? Yes you are welcome to bring in your own.